“A cauliflower is nothing but a cabbage with a college education” – Mark Twain. every commodity there is has reformed, again and again, birthing new varieties as the decade’s come and go. This is a tribute to how we must never stop the “training” process when it comes to cultivating the best produce for our communities, friends, and families. We know cauliflower was first dated back to Cyprus in the 16th century. We hear of the vegetable being a staple of gourmet throughout time, from the table of Louis XIV to the 18th century, where cauliflower began to be cultivated in Margaretville on a larger scale. The crop thrived in New York City, mainly from the 1900s-1940s. As news spread of the successful crop, Long Island and California took a stake in cultivating it as well and competition became stronger and stronger. Though once one of the greatest employing growing crops of the area, Margaretville started to cave to the competition due to the outnumbering and demand of the commodity. Today, you can find cauliflower all over the world used in many different types of cuisine. Perhaps you have experienced cauliflower soups in Europe, salads in Sardinia, or curry dishes based in cauliflower in India. 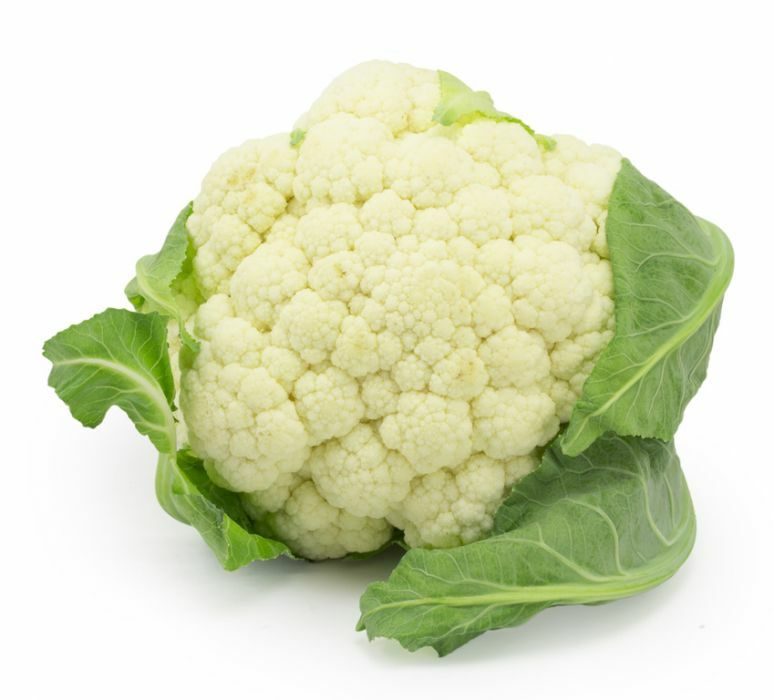 In the United States, the use of cauliflower is endless – but mainly we hear of roasted cauliflower, made similarly as most broccoli dishes, as they do come from the same species family. Cauliflower is mainly produced today in France, the US, China, India, and Italy. Just as one might rightly assume, cauliflower is right up there in nutritious value with broccoli. With about 25 calories and packed with everything you could ever need from Vitamin C, K B6, fiber, folate, potassium, manganese, magnesium, phosphorous and more, 1 cup of cauliflower will do just about any trick. The antioxidants aid with inflammation, and slowing growth of harmful agents, like cancerous cells. They help lower the risks of many diseases and help protect the body overall. You will likely often hear of a linkage of cauliflower and weight loss. Indeed, the vegetable is used as a core ingredient in many light caloric meals, and we can sure see why! A nutrient we don’t often hear or speak about, Choline, is a vital part of cauliflower, and since many people are unknowingly deficient in Choline, cauliflower is a great agent to the formation of cell membranes, brain development, and protection from too much collection of cholesterol. Interestingly enough, for such a vital nutrient, you will not find it in many commodities. However, broccoli and cauliflower are prime subjects to help this deficiency from getting out of hand. As if that wasn’t enough to convince you to load up on some cauli’ this week, let’s throw it in here that the vegetable is also packed with sulforaphane. What is this you might ask? The biggest notion that it’s known for is its activity in destroying cancerous cells and potentially even stop cancer growth. Additionally, it helps with reducing high blood pressure and the health of arteries. The truth is, cauliflower doesn’t get the best rap – but if it is doctored up correctly, it sure can be a tasty way to get all of these nutritional properties. If you’re at a loss for how to cook it in a way that will taste good, check out our personalized cauliflower recipe here.